The original is below. 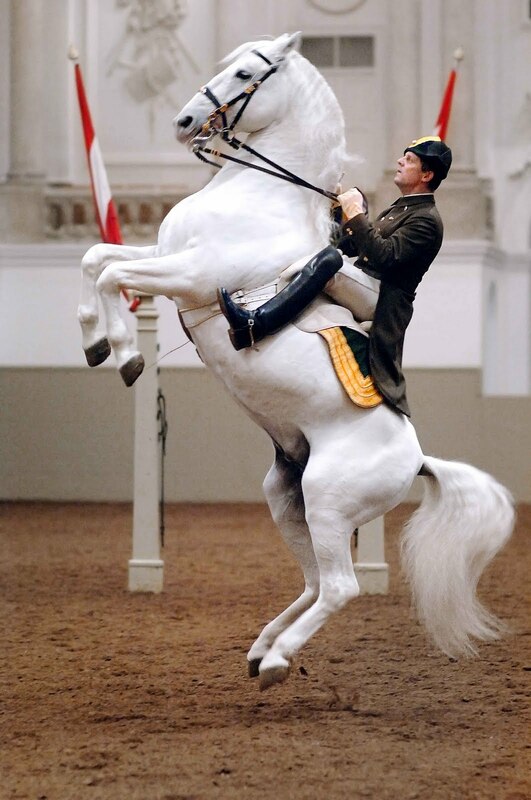 My idea was for a dressage show similar to the Lippizaner stallions, a photo of which I used as my reference. As you can see, I Russified the horseman a bit to suit my personal tastes; the Regency period was never my era of choice for uniforms. I even came up with a brief psuedo-history of an imagined Russian riding school– the loopy thing above the rider’s head on my version of Peter the Great’s royal monogram. All in all though, It looks a bit like an engraving stolen from a book of Dover clip art! This particular version is unfinished, as I couldn’t find the original. I consider it a triumph of technique (This was my first time with a dip pen) but I could never get the damn thing to work satisfactorily with either the paper dimensions or the typography elements I had to include. Ah well . . .